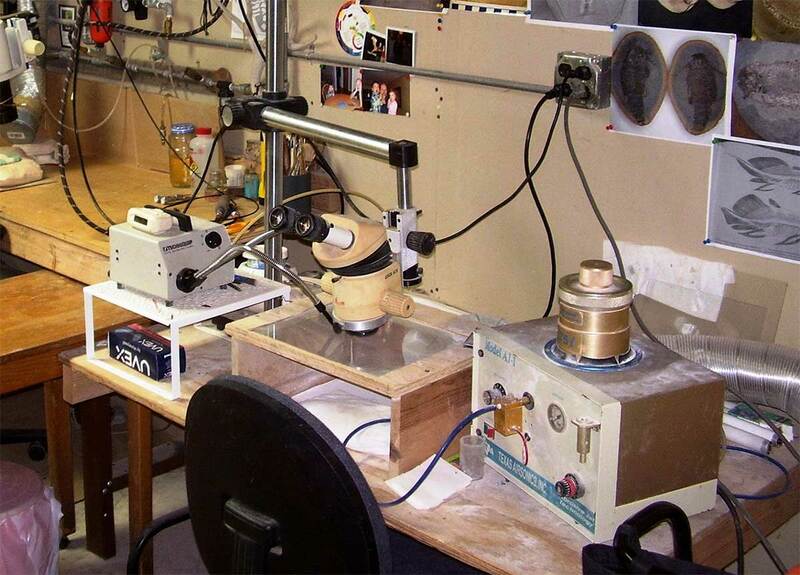 The air-abrasion set-up, using a standard Wild Heerbrugg M6 microscope. Air-abrasion is used to prepare fish specimens from the Green River Fm. of Wyoming. This technique, if used carefully, can be used to lightly clean many other types of fossils.